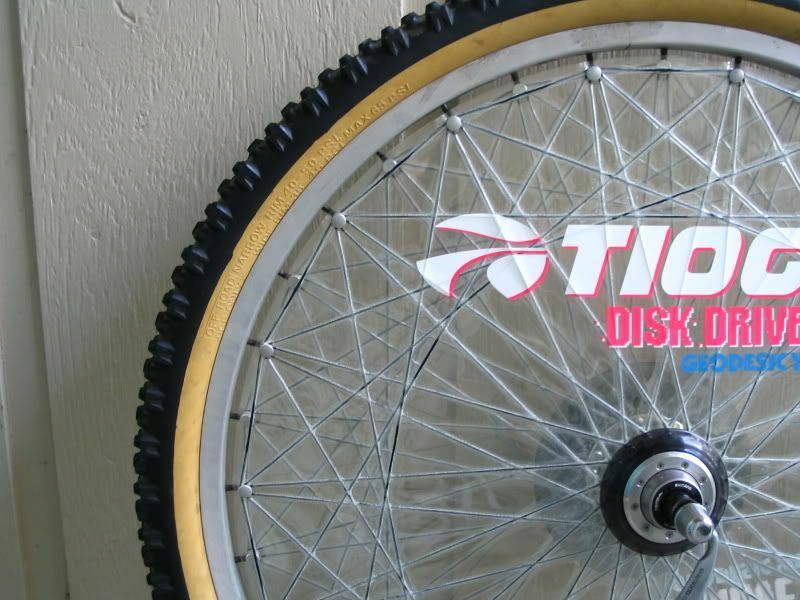 Ah the Tioga Tension Disk. The greatest aftermarket upgrade ever. 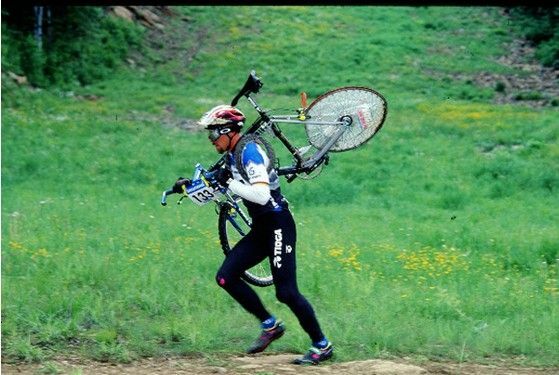 Touted as being lighter, stronger, more aerodynamic, and staying true longer...the reality is they are the opposite of all of these things. They do posses some subtle suspension like qualities, but where they really shine...is how they sound and look. Lets face it, thats whats most important here. There are several variants as the wheel evolved over its short lifespan. Here's a quick guide. Know your Disk Drives. 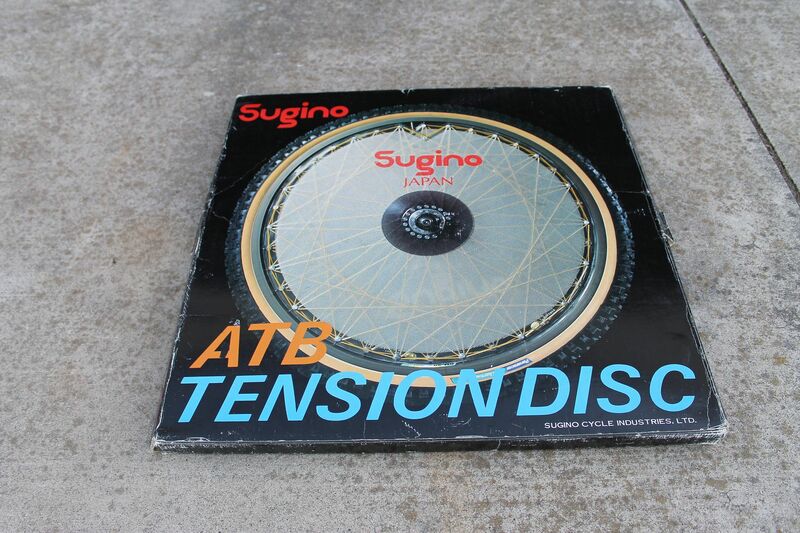 More commonly known as the Tioga Tension Disk, this wheel was produced by Sugino Japan. 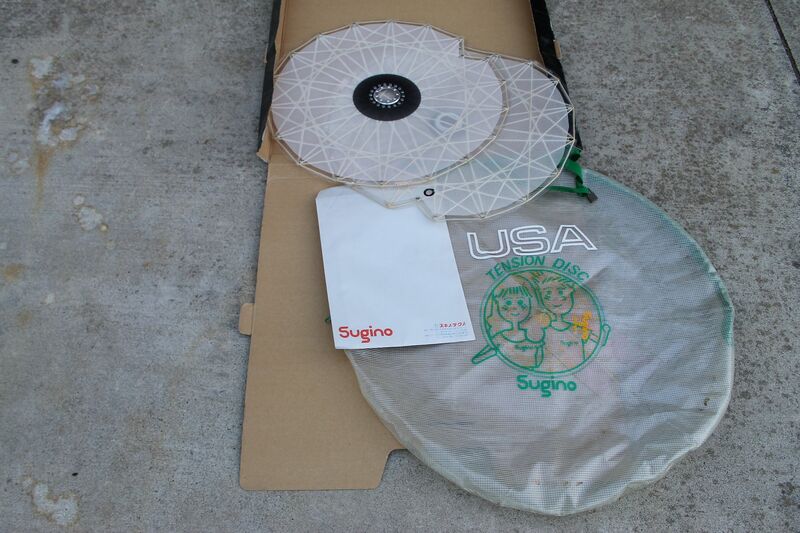 Below is an early Sugino Disc Drive with the white mesh variant. Its NOS in the box with wheelbag and instructions. Circa late 80's. 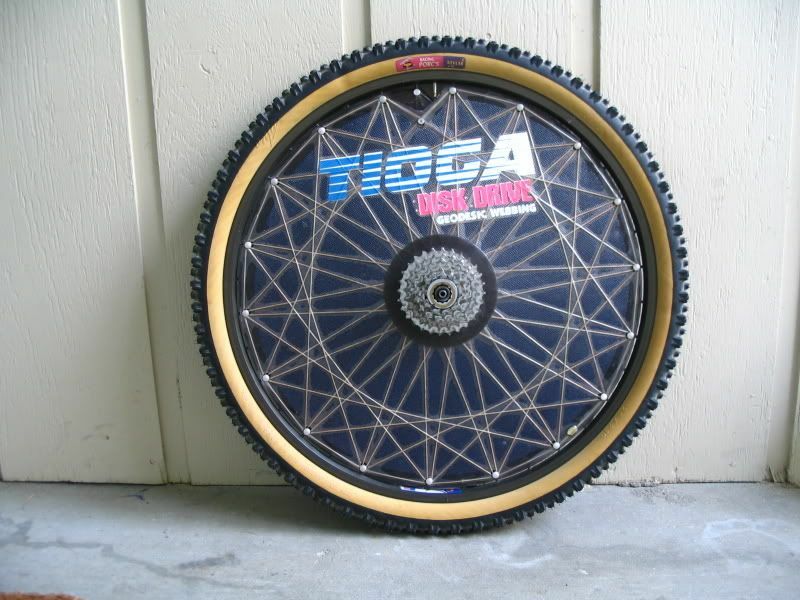 Tioga then came out with the Tioga Tension Disk Pro. 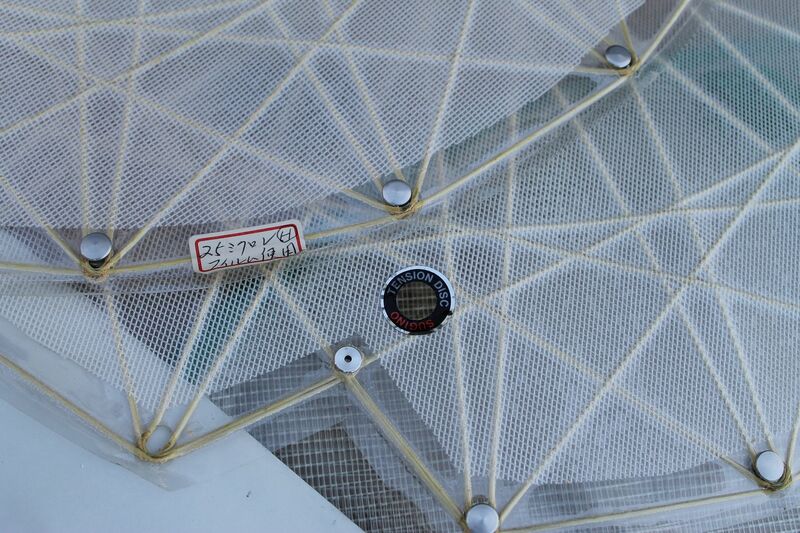 The same 36h cross laced pattern, but without the wire mesh. Hello weight savings! They also improved the valve access, which is huge. Circa 91/92. 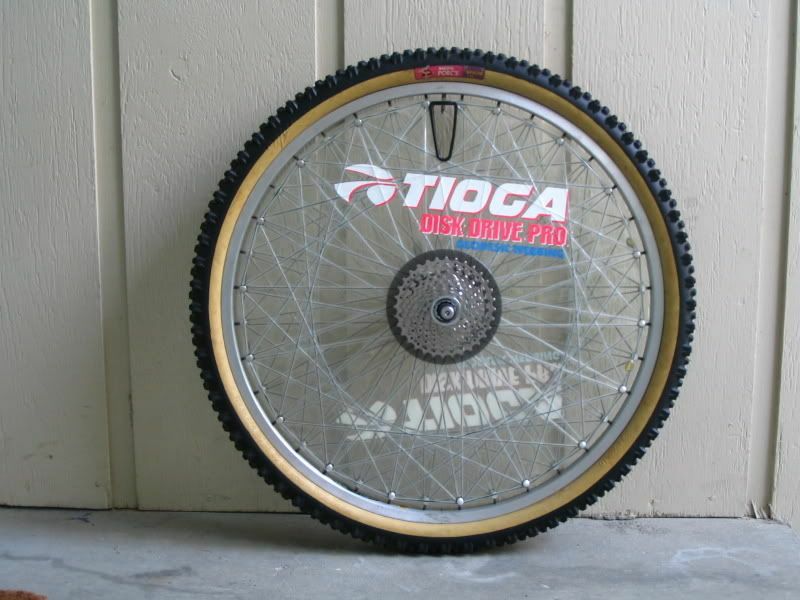 At the end of its life span, Tioga came out with one final variant of the wheel. 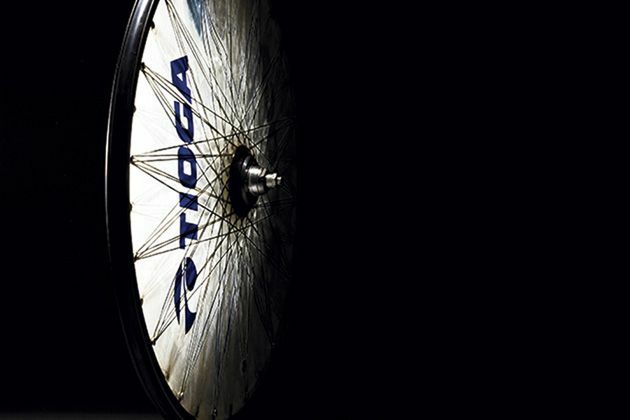 The Tioga Tension Disk Drive Pro 32h radial laced wheel. 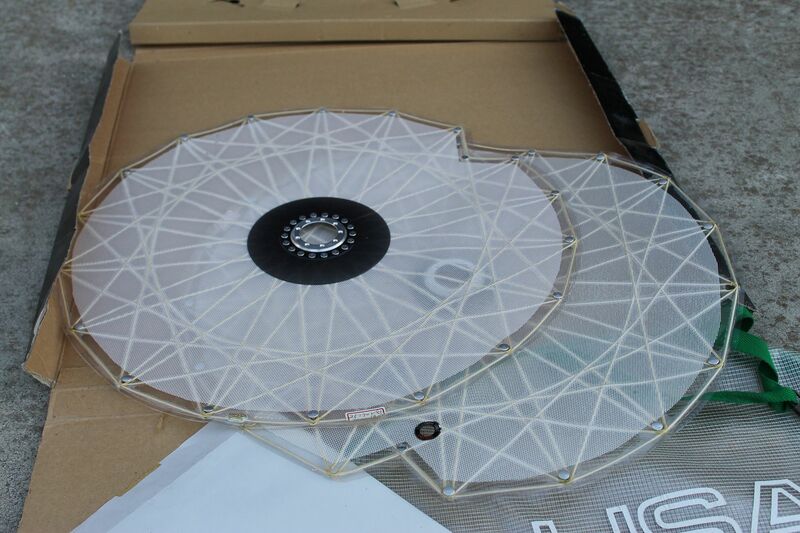 This was supposed to be the most reliable and lightest version of the wheel. With the new radial lacing pattern, valve access is no longer an issue. 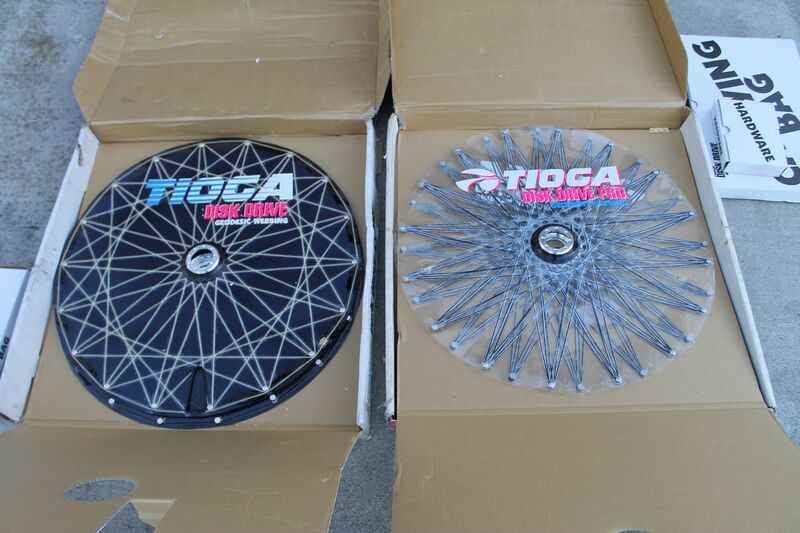 In addition to the Pro, Tioga offered a more affordable (still overpriced) Tension Disk Comp. 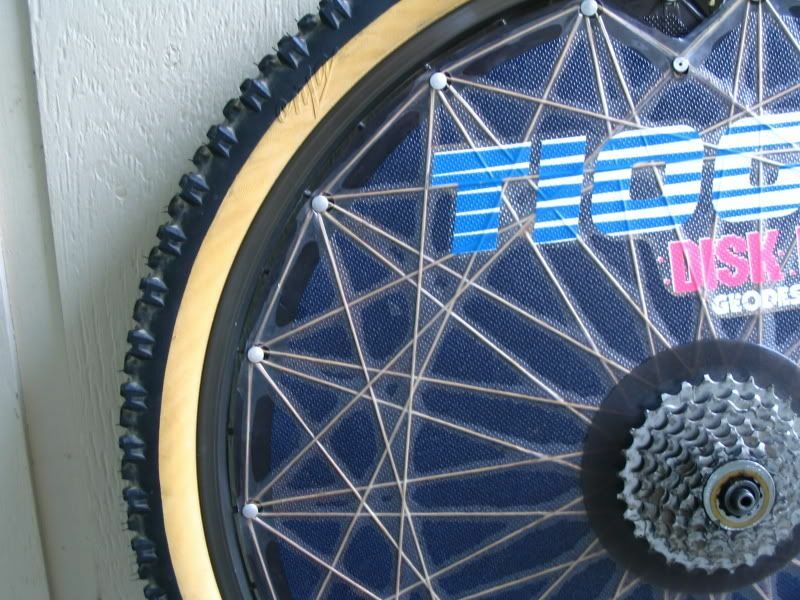 The Comp was basically the original 36h cross laced mesh wheel, but with the improved valve access hole. 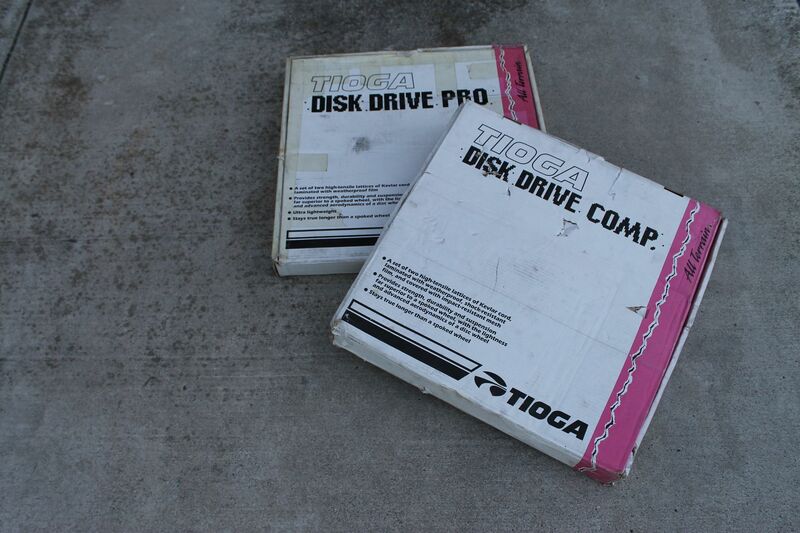 Below are two NOS in box versions of the last of the T-Disk series. Circa 93/94. Tension Disk's have a pretty good reputation for failure. I've owned quite a few over the years. Even a wheel built new from scratch struggles to say perfectly true. 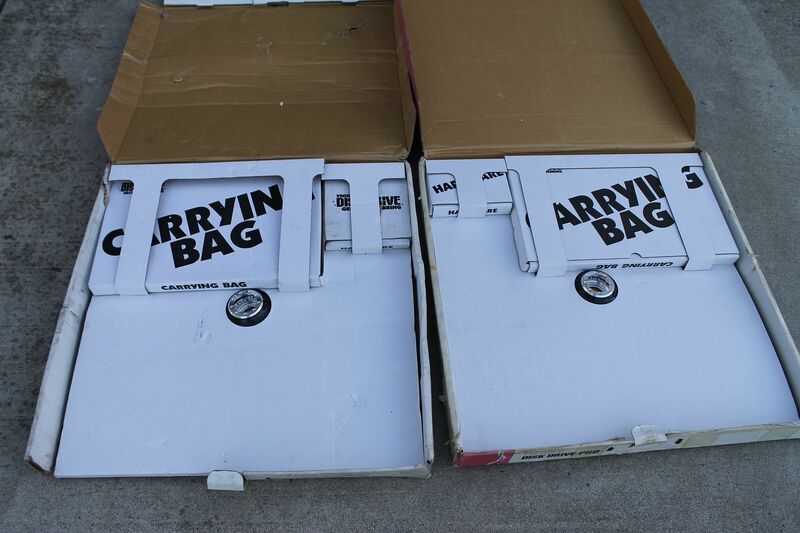 With enough mileage and hard use, they become roped. At this point the wheel is pretty much unusable, never holding true. 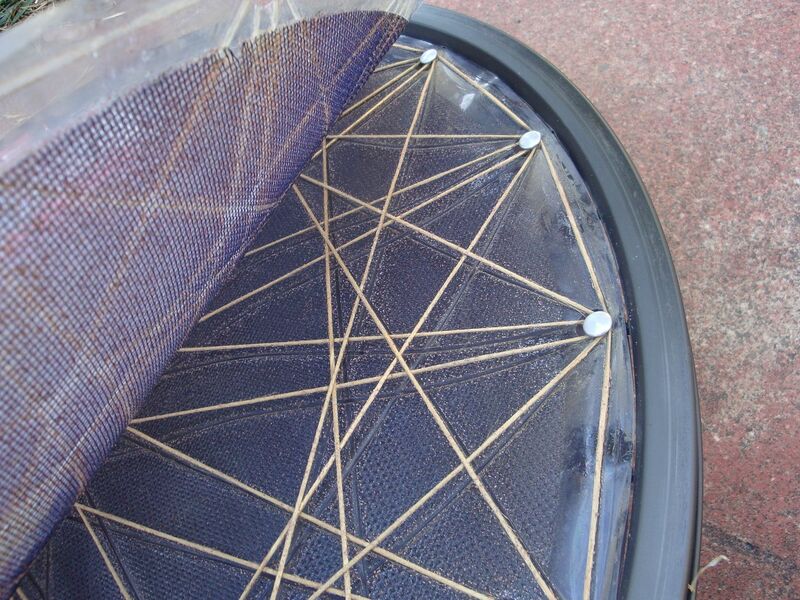 Other failures are the Kevlar cord cutting lose from its anchors or the lattice peeling away from the cords. I've been told that one of the reasons for wheel failure was chain lube dripping on the Kevlar causing it to weaken. Here are a few pics of less than favorable T-Disk moments.